With cottages increasingly becoming homes away from home, featuring lavish amenities more akin to posh hotels than rustic getaways, chef Simon Telfer recognized an opportunity to cater to those seeking the finer things even while “roughing it” in the great outdoors. 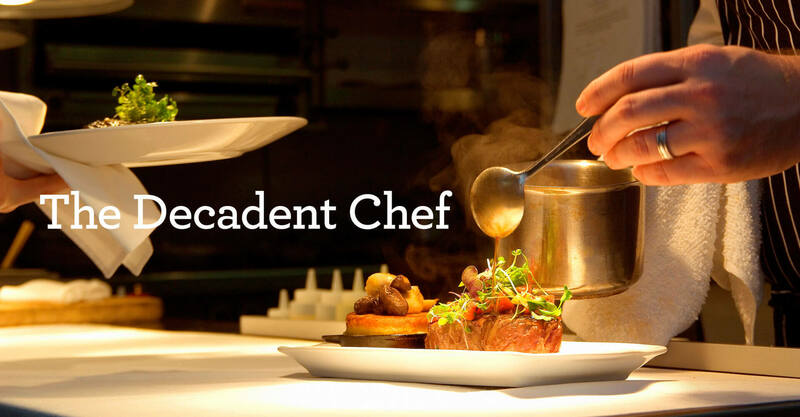 The Decadent Chef was developed as a business that literally caters to its clientele, preparing in-home meals for dinner parties and events for couples or groups in the privacy of their own homes or cottages. 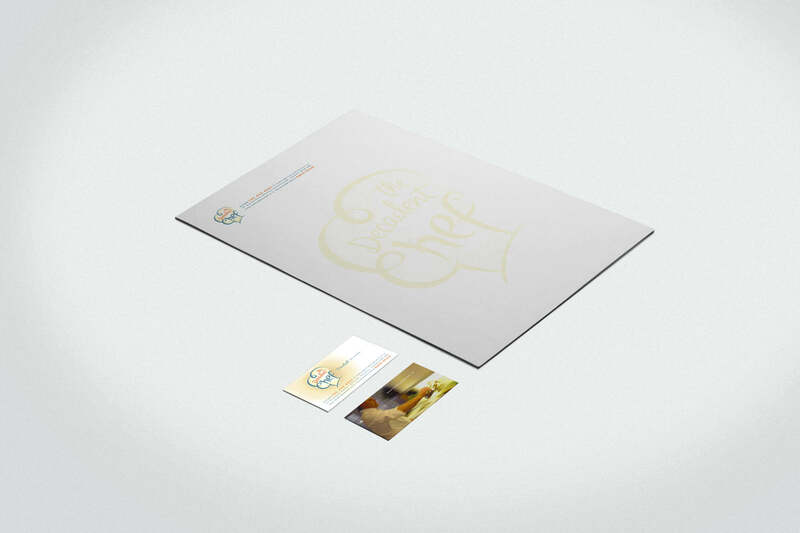 With his name and tagline decided upon, Simon engaged us to develop the visual elements of his brand. 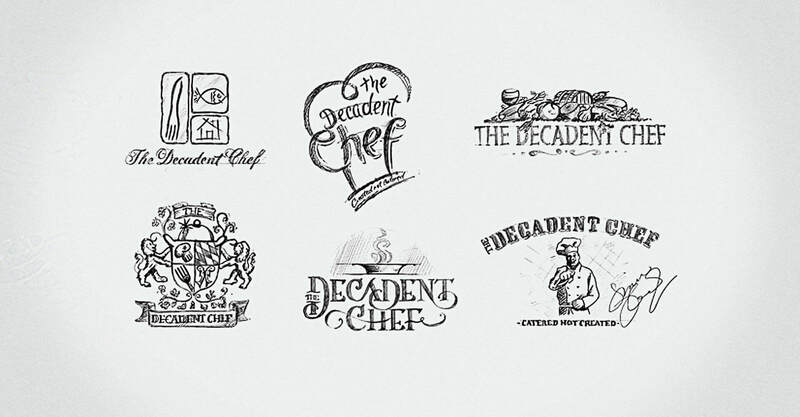 We immediately identified that the target clientele of The Decadent Chef would be higher income earners, and therefore it was essential to develop a brand that would be relevant to his customers. We met with Simon on several occasions to discover his personality, and to better understand his value proposition we had him prepare a dinner party meal for us (which doubled as a photo shoot), so that we could truly comprehend the full Decadent Chef experience. We recognized that he was more than just a caterer, but would be working in his client’s kitchens, interacting with them and their guests. With first-hand knowledge of his unique point of difference we began sketching logos communicating different brand positions, and helped Simon to get past his own self-imposed limitations to understand what his client would be demanding of him, and what he was capable of delivering. 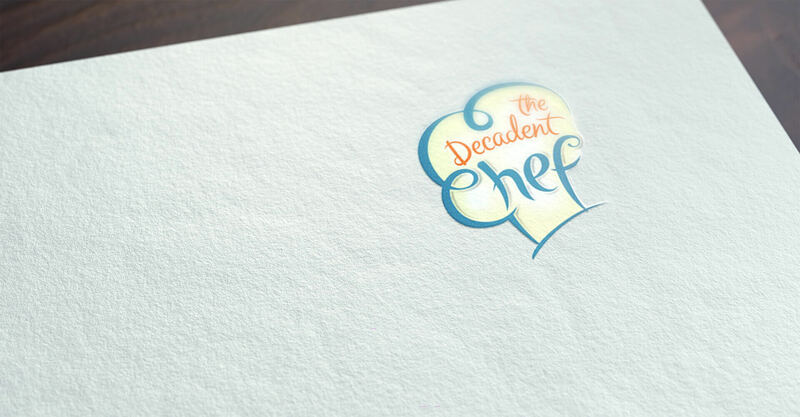 Through his logo, business cards, and website, The Decadent Chef was born. 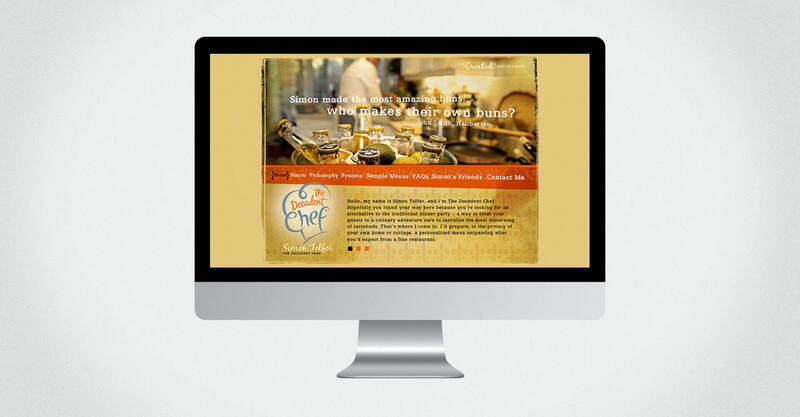 The Decadent Chef Online: We then set about creating an online identity for the Decadent Chef, knowing that while his clientele would likely discover him through word-of-mouth, they would seek him out online to learn more about him and the services he provides. We used photography taken at our discovery session to show the energy and excitement of the kitchen theatre, the fun and enthusiasm of the guests, and also the quality of the food he prepares. We developed a Q&A page for him, knowing that his service was a novel one, and that many of those interested in hiring him would have a common set of questions they would want answered before engaging him.